Tracey is a transactional attorney who regularly advises companies on corporate mergers and acquisitions and financing deals. She is a member of the firm's executive committee and chairs Taft’s Technology industry team. Tracey transitioned into law after working as an engineer for GE Aviation and the McDonnell Aircraft Company (now Boeing). When working with her clients on these types of transactions, Tracey often leverages her engineering experience to provide sophisticated practical advice to clients. Her in-depth knowledge of the technology industry and her unique perspective on corporate transactions are among the reasons why she has been honored by Best Lawyers in America for over 10 years and Leading Lawyers for over four years. Tracey’s practice encompasses a wide variety of corporate transactional work, including helping structure multimillion-dollar mergers, acquisitions, divestitures, and asset-based lending arrangements. She has also assisted clients with equity restructuring, senior and mezzanine debt financing and management buyouts. 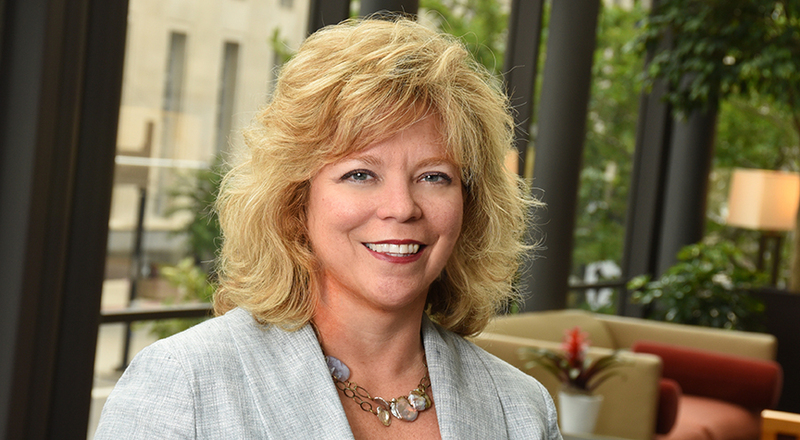 In the process, Tracey has represented companies such as Chiquita Brands International and Zotec Partners, along with a number of high-profile, privately-held entities in the manufacturing, service, healthcare, telecommunications and technology industries. Tracey is active in her community through her work as a board member with the Cincinnati May Festival, the Hamilton County Board of Health and the Hearing Speech and Deaf Center of Greater Cincinnati. She is also an active member of the Association for Corporate Growth, the Cincinnati Bar Association and Leadership Cincinnati. Tracey earned her J.D. from Salmon P. Chase College of Law and received her B.S. from the Missouri University of Science and Technology (formerly known as University of Missouri-Rolla). Follow Tracey on Twitter @TraceyPuthoff. Represented Chiquita Brands International in its $150 million global refinancing / ABL Credit Facility with Bank of America - Feb. 5, 2015. Represented Zotec Partners in its $200 million acquisition of Medical Management Professionals, Inc. - Aug. 30, 2013. Represented Chiquita Brands International in its $200 million global refinancing / ABL Credit Facility with Wells Fargo Bank - Feb. 5, 2013. Represented a high-tech manufacturing company in the sale of its business to a private equity fund - 2015. Represented a manufacturing company in a strategic acquisition - 2015. Represented a manufacturing company in a strategic agreement with Hewlett-Packard - 2015. Represented a regulated telecommunications company in a strategic acquisition - 2015. Represented a health care company in a strategic acquisition - 2015. Represented an investment company in the restructuring of the sale of interests in a coal company - 2014. Represented the buyer in its strategic acquisition of a metal distribution company - 2014. Represented the buyer in its strategic acquisition of a logistics company - 2014. Represented a manufacturing company in its equity restructuring and senior and mezzanine refinancing transactions - 2014. Represented a technology company in its refinancing with Fifth Third Bank - 2014. Represented a high-tech manufacturing company in the acquisition/management buy-out of an enterprise molded products company - 2013. Represented a high-tech manufacturing company in its acquisition financing with PNC Bank - 2013. Represented a technology company in the restructuring of a strategic acquisition and corporate integration - 2013. Represented a high-tech manufacturing company in the sale of its aerospace business to a private equity fund - 2013. Represented a book company in the sale of its business to a strategic buyer - 2013. Represented an advisory firm in its strategic acquisition of a consulting firm - 2013. Represented the buyer in its acquisition of a food-related company - 2012. Represented management in the buyout of a technology company - 2012.